Whether you are a mobile caterer or you’re an established restaurant, you can benefit from using a contactless debit card machine. Once you’ve decided which card machine is best for your business setting, you can start taking fast, secure contactless credit and debit card payments. Here at WTS, we understand the bespoke payment requirements of the catering and restaurant setting, and our friendly team can have your restaurant set up with the latest in payment technology typically in 2-3 working days. Choosing WTS as your supplier of charge card terminals means you won’t only be receiving leading industry support, but you will also be receiving the highest standard of customer service at all times. Our restaurant payment solutions are built around supporting your restaurant or catering business, allowing you to maximise full payment revenues consistently. Our Contactless Chip and PIN card machines have a proven track record in a restaurant environment, and are used widely across many of the UK’s leading chained restaurants. A large part of our success constitutes from listening and understanding the needs of your catering business or restaurant, and ensuring we deliver the best payment solutions over and over again. WTS offer simplified complex pricing plans on our card machines for restaurants and mobile caterers. With popularity in contactless payments soaring, customers expect to be given the option to pay with a contactless card for their food and drink, give them what they want! Every customer requirement is different. From our extensive knowledge of the restaurant industry, the most popular card machine is the portable version (sometimes referred to as a Bluetooth terminal). This credit card device is SIM free, and can be used within a specified radius of a base station (typically 100m). With built-in contactless technology, you can reduce customer waiting time and process secure payments quickly. All the portable card terminals supplied by WTS run through a Bluetooth connection, so you will only need one PSTN Line or IP, which means you can have multiple contactless machines connected which is why many restaurants opt for this terminal. Countertop debit card machines which are extremely popular for customers looking to take payments at a till or fixed location. Mobile card machines are ideal for mobile caterers who travel to customers. Avoid carrying excessive amounts of cash and change by taking a contactless mobile card machine with you that comes equipped with a roaming SIM card. Wi-Fi debit Card machines are a fantastic solution ideal for restaurants where payment needs to be taken at a table. It also provides an extremely personal service and is perfect for businesses where a telephone line or router is unavailable. To learn more about any of these card machines, please refer to the “Card Machines” header in the drop down menu. Accepting payments via debit and credit cards has become a standard practice for restaurants. The convenience of accepting contactless card payments in your business improves the overall experience for a customer and also eliminates lengthy queues at peak times. Reflect on your own personal experience and apply it to your restaurant or catering business. It doesn’t matter if your restaurant provides “food on the go” or is the complete À la carte dining experience aimed at the very high end, it’s all about improving the ease of which the customer can pay. 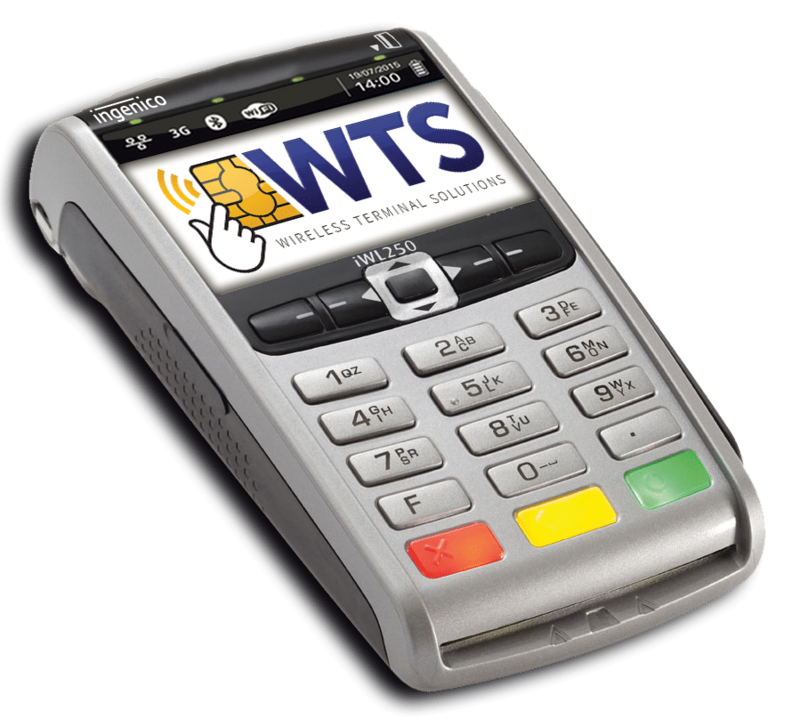 To discuss getting your restaurant or mobile catering business equipped with the best debit card machine, get in touch with a WTS consultant who will talk you through the options available to you and your business. Call us on 0845 459 9984 or email sales@wirelessterminalsolutions.co.uk.